Physicists have used a seven-qubit quantum computer to simulate the scrambling of information inside a black hole, heralding a future in which entangled quantum bits might be used to probe the mysterious interiors of these bizarre objects. Scrambling is what happens when matter disappears inside a black hole. The information attached to that matter — the identities of all its constituents, down to the energy and momentum of its most elementary particles — is chaotically mixed with all the other matter and information inside, seemingly making it impossible to retrieve. This leads to a so-called “black hole information paradox,” since quantum mechanics says that information is never lost, even when that information disappears inside a black hole. So, while some physicists claim that information falling through the event horizon of a black hole is lost forever, others argue that this information can be reconstructed, but only after waiting an inordinate amount of time — until the black hole has shrunk to nearly half its original size. Black holes shrink because they emit Hawking radiation, which is caused by quantum mechanical fluctuations at the very edge of the black hole and is named after the late physicist Stephen Hawking. Unfortunately, a black hole the mass of our sun would take about 10^67 years to evaporate — far, far longer than the age of the universe. However, there is a loophole — or rather, a wormhole — out of this black hole. It may be possible to retrieve this infalling information significantly faster by measuring subtle entanglements between the black hole and the Hawking radiation it emits. Two bits of information — like the quantum bits, or qubits, in a quantum computer — are entangled when they are so closely linked that the quantum state of one automatically determines the state of the other, no matter how far apart they are. Physicists sometimes refer to this as “spooky action at a distance,” and measurements of entangled qubits can lead to the “teleportation” of quantum information from one qubit to another. By dropping an entangled qubit into a black hole and querying the emerging Hawking radiation, you could theoretically determine the state of a qubit inside the black hole, providing a window into the abyss. Yao, who is a member of Berkeley Lab’s Quantum Algorithms Team, and his colleagues at the University of Maryland and the Perimeter Institute for Theoretical Physics in Waterloo, Ontario, Canada, will report their results in a paper appearing in the March 7 issue of the journal Nature. Yao, who is interested in understanding the nature of quantum chaos, learned from friend and colleague Beni Yoshida, a theorist at the Perimeter Institute, that recovering quantum information falling into a black hole is possible if the information is scrambled rapidly inside the black hole. The more thoroughly it is mixed throughout the black hole, the more reliably the information can be retrieved via teleportation. Based on this insight, Yoshida and Yao proposed last year an experiment to provably demonstrate scrambling on a quantum computer. Monroe, a physicist at the University of Maryland in College Park who heads one of the world’s leading trapped-ion quantum information groups, decided to give it a try. His group implemented the protocol proposed by Yoshida and Yao and effectively measured an out-of-time-ordered correlation function. Called OTOCs, these peculiar correlation functions are created by comparing two quantum states that differ in the timing of when certain kicks or perturbations are applied. The key is being able to evolve a quantum state both forward and backward in time to understand the effect of that second kick on the first kick. Monroe’s group created a scrambling quantum circuit on three qubits within a seven-qubit trapped-ion quantum computer and characterized the resulting decay of the OTOC. While the decay of the OTOC is typically taken as a strong indication that scrambling has occurred, to prove that they had to show that the OTOC didn’t simply decay because of decoherence — that is, that it wasn’t just poorly shielded from the noise of the outside world, which also causes quantum states to fall apart. Yao and Yoshida proved that the greater the accuracy with which they could retrieve the entangled or teleported information, the more stringently they could put a lower limit on the amount of scrambling that had occurred in the OTOC. This is because, if information is successfully teleported from one atom to another, it means that the state of the first atom is spread out across all of the atoms — something that only happens if the information is scrambled. If the information was lost, successful teleportation would not be possible. For an arbitrary process whose scrambling properties might not be known, this method could be used to test whether — or even how much — it scrambles. Monroe and his colleagues measured a teleportation fidelity of approximately 80 percent, meaning that perhaps half of the quantum state was scrambled and the other half decayed by decoherence. Nevertheless, this was enough to demonstrate that genuine scrambling had indeed occurred in this three-qubit quantum circuit. Yao is also working with a UC Berkeley group led by Irfan Siddiqi to demonstrate scrambling in a different quantum system, superconducting qutrits: quantum bits that have three, rather than two, states. Siddiqi is a UC Berkeley professor of physics and a faculty scientist at Berkeley Lab, where he is leading the effort to build an advanced quantum computing test bed. “Regardless of whether real black holes are very good scramblers, studying quantum scrambling in the lab could provide useful insights for the future development of quantum computing or quantum simulation,” Monroe said. Aside from Yao, Yoshida and Monroe, other co-authors are graduate student Tommy Schuster of UC Berkeley and graduate student and first author Kevin Landsman, Caroline Figgatt and Norbert Linke of Maryland’s Joint Quantum Institute. The work was supported by the Department of Energy’s Office of Advanced Scientific Computing Research and Office of High Energy Physics and National Science Foundation. 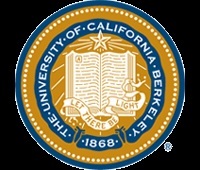 Founded in the wake of the gold rush by leaders of the newly established 31st state, the University of California’s flagship campus at Berkeley has become one of the preeminent universities in the world. Its early guiding lights, charged with providing education (both “practical” and “classical”) for the state’s people, gradually established a distinguished faculty (with 22 Nobel laureates to date), a stellar research library, and more than 350 academic programs.